I have to admit it. There is a dilemma for cooking chicken breast in pressure cooker. On one hand, pressure cooker saves so much time! On the other hand, pressure cooking is not the best method for the juiciest and moistest chicken breast. *The data for the above chart was an average from 18 different tests we performed in our kitchen. To summarize, the longer the meat is cooked, the drier it will become. It is very easy to overcook chicken breast in pressure cooker, as we cannot check the temperature and level of doneness during the cooking process. Once upon a time, I overcooked a chicken breast in pressure cooker so badly that it registered at over 200°F on my food thermometer. It was like eating a piece of dry cardboard. 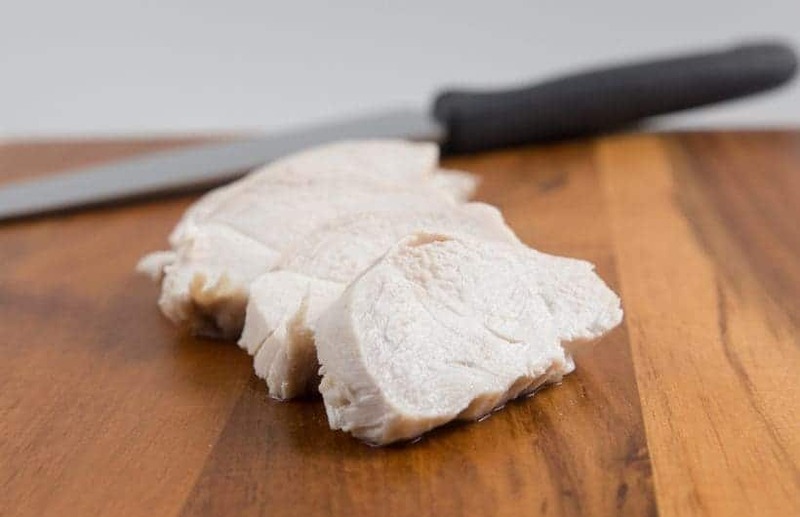 We removed the skin, bones and excess fat, then halved our whole chicken breasts (Note: this is how skinless, boneless chicken breasts are mostly sold in the market). They weigh 242 grams, 264 grams, 279 grams, 283 grams, 281 grams, and 298 grams respectively. The thickest part is about 1 5/8 inch thick. We did a direct comparison and we both agreed that the texture of the high pressure chicken breast came out slightly better. Maybe it was the quality of the chicken meat. For now, we do not have enough data to make a solid conclusion. 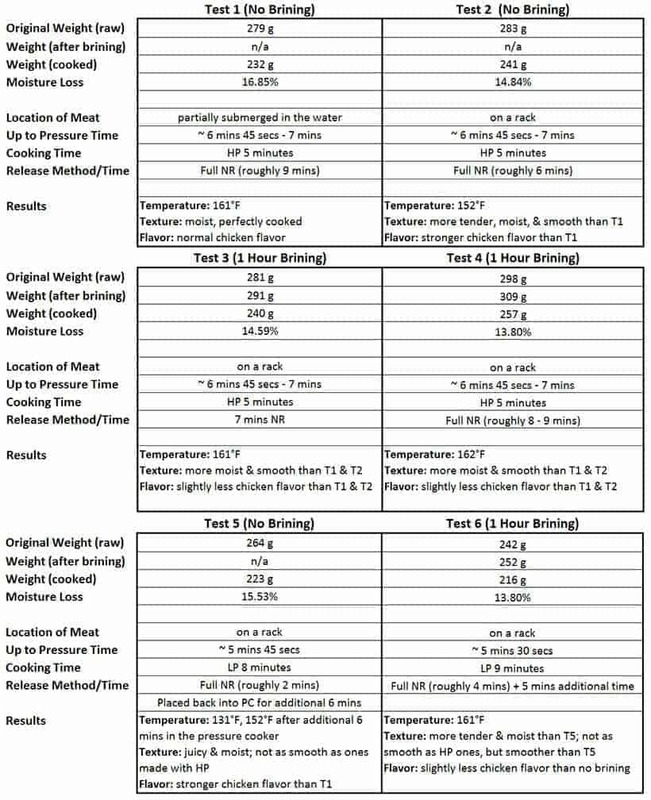 After doing 18 tests with chicken breasts and chicken drumsticks, we found that a quick one hour brine increased the moisture level by 0.8% – 1.1% compare to the non-brine chicken. Advantage: Even a quick brine increases the chicken breast’s moisture level and makes it more tender. It was evident in our direct taste test. It also adds some saltiness flavor to the chicken breast. Disadvantage: Brining dilutes some of the chicken’s flavor. It was detectable in our taste test. One small note, the non-brine version was highly acceptable when it was perfectly cooked. In a small mixing bowl, mix 30 g salt with 500 ml of cold running tap water. Fully submerge the chicken breast in the mixture and place it in the fridge for at least 1 hour. Brining chicken breast for over 3 hours may result in ham-like meat texture. To prevent leakage, you can brine by putting everything in a ziploc bag instead of a mixing bowl. On the Rack or Directly in Liquid? We do not have enough data to make a conclusion, but it seems like more moisture is lost while the chicken breast is partially submerged in the liquid. More testing needs to be done on this. What Temperature Should I Aim for? Official recommended safe temperature for chicken breast is 165°F (some recommends 150°F – 160°F). 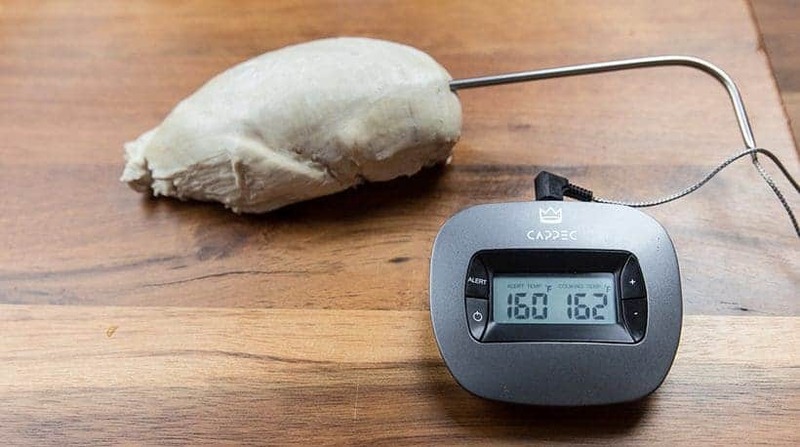 Aim for 161°F – 163°F at the thickest part of the chicken breast when you remove it from the pressure cooker. Get a food thermometer if you don’t have one! Rest the chicken breast for 5 – 8 minutes to let the carryover heat elevate the center temperature to 165°F. Why Should I Rest the Chicken Breast? Not only does resting allows the carryover heat to slightly elevate the center temperature, but more importantly, it allows the meat fiber to relax and hold more moisture when we slice it. My Chicken Breast is Undercooked, Should I Pressure Cook it Again? Unless the chicken breast is severely undercooked, We will not recommend pressure cooking it again. If the chicken breast is below 160°F, quickly place the chicken breast back in the pressure cooker. Close the lid and let the residual heat cooks it for an additional 2 – 5 minutes. Do check the temperature often to avoid overcooking. If the pressure cooker has completely cooled down, you can heat it up before placing the chicken breast back in. Remember to turn off the heat before you place the chicken breast back in to avoid overcooking the exterior! The Moistest & Juiciest Chicken Breast from your pressure cooker to your dining table in roughly 30 minutes (until we find a better method, of course 😀 ). Hey friends, I’m a huge fan of your site and a brand new user. I made this as my second ever instant pot recipe. I have a 6qt and followed your instructions for HP nearly perfectly. I noticed when I opened the pot, the parts where the chicken breasts were touching were not cooked through. Should I try to avoid stacking them? I set them back in there for three more minutes. Thank you for your question. Packing them too tightly will prevent the steam from pressure cooking them. I’m cooking fish, but it comes out rubbery and tough. I buy whole fish and just slice it and cook on low pressure for 8 mins. Also, how would one cook chicken drums or thighs n low pressure. I usually avoid under-cooking the meat (fish/thighs). I cook chicken for 30 mins on low pressure. It will depend on what fish. A salmon filet will take roughly 1 – 3 minutes to cook. Chicken drumsticks will take 8 minutes on High pressure + 10 minutes natural release. We keep kosher. Our meat and chicken are soaked and salted before they are sold. Do I still need to brine? You will not need to brine it. Both ways will work. Heating the water first will dissolve the salt easier, but you will want to cool it back down before placing the chicken in. Would a marinade have the same impact as a brine? I tend to marinade the night before so I don’t have to worry about rushing into the kitchen in the morning or 2-hrs before, but now that I read your comment about the 3 hour brine turning the chicken into a ham like texture, I am curious. Marinade has less salt than brine so the effect is minimal. However, marinade with vinegar can breakdown the meat. I just made four large fresh chicken breasts in the the Instapot and set it on manual for nine minutes and it took itcabout 20 or more minutes to come to pressure then I let it do a natural release and it was very dry. I read your article but don’t understand the high pressure and natural pressure release. Can you explain what I did wrong? Thank you! I’m afraid to cook my boyfriend chicken in the Instapot. The chicken breast was most likely cooked at high pressure for 9 minutes as this is the default setting. For high pressure, you will want to cook it for 5 minutes with 1 cup of water. 7 – 8 minutes Natural Release means to turn the venting knob to the venting position after 7 – 8 minutes to release the remaining pressure. Open the lid immediately after and take out the chicken breasts. Hello again Amy and Jacky, I just purchased two fresh chicken breasts that are huge: 1.5 pounds each! (If I did the math correctly, that’s about 680 grams per breast.) Should I increase the cook time or cut each breast in half before cooking? Thank you! I would recommend cooking them for 2 – 3 extra minutes and see how it goes. I’m following up on Cyndi’s question above. Thank you for taking the guesswork out of IPing unfrozen chicken Breasts! With frozen breasts halves, you said they need to be submerged, 3/4 of the breast under the water. She said she did 8 mins HP, then 6 mins NPR. What times do you recommend? I would say roughly 6 – 7 minutes and 7 – 8 minutes Natural Release. What would cook time be for chicken cutlets, or thin cut breasts? You guys are my go to when it comes to the IP. Thank you for sharing all of your experience. I would say roughly 3 minutes and 6 – 7 minutes release. Everything will be the same for this recipe. Just to let you know…when I followed your instructions to make a BBQ whole chicken, I noticed the meat was tender and silky as when I made a whole chicken in the ‘white-cooked method’ for Asian chicken. Of course, for BBQ chicken, I took the chicken out and patted it dry then put BBQ sauce all over the breast and legs and put in under my toaster oven broiler until it looked crisp to our liking. It turned out very well. after! I added some sliced root ginger & chopped green onions to make some tasty soup.the next day. Yes, the poaching method is one of the best ways to cook a whole chicken. I hope I didn’t miss this information in previous comments…how does one adjust times for slightly higher altitude (eg. 3000 ft above sea level…Central Alberta, Canada)? More time or less? Need this info for doing hard-cooked eggs as well. Just want the perfect timing and pressure for things to turn out great. Thanks for the details. I’m using a 6 qt. Fagor Chef on a gas stove. With the heavy triple-ply bottom, I can get up to pressure in under two minutes. I browned two skin-on, bone-in breasts, weighing about 11 ounces each. The browning would pre-warm them, but the bone might slow things down a bit. I used a rack, and about half a cup each of water and wine below. I cooked for eight — (maybe nine 🙂 — minutes on high and let pressure come down naturally for a X minutes. Seemed like less than five. — They were very tender and very moist. Next time I’d either have a sauce, or brine them. Thank you so much for sharing your cooking experience on the stovetop with us Bob. Hey, that is the most detailed and thorough discussion of cooking chicken in a pressure cooker I can possibly imagine and it was incredibly helpful…awesome job Amy and Jacky! You saved me a huge amount of time 😀 I am now going to experiment in making a new recipe I am calling tarragon chicken stroganoff stew, in the pressure cooker, and thank you again for all those experiments! Tarragon chicken stroganoff stew sounds super yummy!! Came across your article after overcoming chicken breasts in a white bean chili. From what I’ve read I understand the chicken will be best if not submerged in liquid. 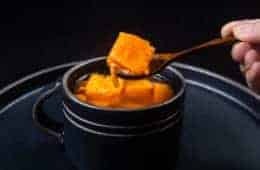 So if I’m doing a soup type recipe should I still use the rack and limit the amount of liquid to 1cup and just add more liquid if needed after cooking? I would recommend using a whole chicken for soup type recipe as chicken breast is quite mild in flavor. This way, you will have more buffer for longer cooking time and more flavor for the soup. All my instant pot recipes have been overlooking and I think it’s because I can’t understand cook time. So, I have 2 boneless skinless chicken breast halves, I add the 1 cup of cold water, put the trivet in, lay the breast’s on top of it, seal it up and start to pressure cook. It took 10 minutes (maybe more) to come to pressure, then I let it cook 8 min, then did 6-8 minuet natural release, and removed. 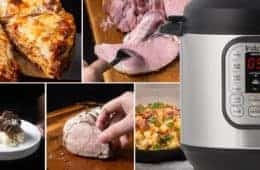 If my multi cooker is just poorly designed with a longer than usual wait time to come to pressure, how do I adjust for that in my cooking and testing times? Depending on how full is the pot, it will take roughly 9 minutes – 20 minutes to come to pressure. Think of this as the time to boiling water or preheating the oven. I making chicken and dumplings! The 4 chicken breast fillets are thawed. I’m adding two large cans of cream of chicken with frozen vegetables and the dumplings are frozen as well (there thin dumplings) was wondering how long to cook it for in a pressure cooker XL if I’m putting in everything together in at the same time? Cans of cream of chicken may scorch the bottom of the pan when used as the cooking liquid. Tried this today to make chicken breasts for some soup. Turned out amazing! I’m wondering if a coating of greek spices would work with this method? (or any other really). I so appreciate you scientific approach, saves me a lot of time and error! Thanks! I’ve been playing with tapioca, but I have the large pearls and my time has been way to short, I’ll try 25 minutes this next time! Coating with Greek spices will work just fine! You guys are amazing! I really like the way you take the guess work out of it. We should release a whole chicken recipe this coming week! Hi! I have really struggled with cooking chicken breast in my IP! Reading through this article really helps…1 pound of chicken with 1 cup of water on the rack is whatI gather. How long on High pressure? I am thinking 1 pound of chicken breast is 2 pieces? The cooking time will be the same as this article. I tried cooking a mostly frozen large chicken breast (over 1 pound). I put it in 1 cup of cool tap water and set it for manual for 8 minutes. I let it natural release for about 6 minutes and then opened the pot. It was still cold inside. I ended up slicing it up and cooked the slices on the trivet (set at three minutes) and then a couple minutes of natural release until I did a quick release. All was fine then and I used the chicken meat cut up for its intended purpose. I should have cut it up to begin with. I don’t think I will try frozen chicken breast again. For a large frozen chicken breast, you will want the chicken breast to be at least 3/4 submerged into the cooking liquid. I just discover your website. I am new to Instant Pot. Would you recommend using the slow cook function instead of pressure cook for a whole chicken so the breasts wouldn’t be dried by the time the thighs are fully cooked? Amy and I are working on a whole chicken recipe, but the slow cook More function will work the best for now. Butterflying the chicken and putting it in an oven is another good method too. Hello, I tried your recipe with my new 7 in 1 and it did not turn out as expected. I am in Iowa so no elevation issue. I set the poultry for 5 minutes and waited 8 minutes NR but my Chicken had an internal temp of 120f after 5 min shelf time. I could tell from the start it was not done because of some pink on the outer sides and edge. I cooked 5 large breast and they were not frozen. Any idea what might have gone wrong? Thanks! It sounds like the pressure cooker did not get up to pressure properly. It could be the silicone ring is not seated properly or the lid was pushed down. Thank you for the response. I have no more issues since then and it was an easy fix. 1 more minutes PK and another 5 NR. 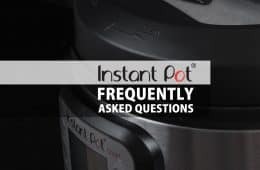 I have used the Instant Pot to make quite a few dishes and will have a hard time ever going without one. I love how easy it is and how good the food tastes. Thanks for all the great ideas! 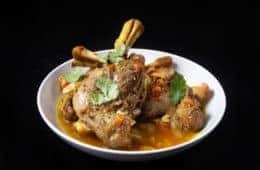 Any experiments with Chicken thighs? Or do you recommend just using the breast timings? Bone-in Chicken thighs with skin take 6 minutes + natural release in the pressure cooker. 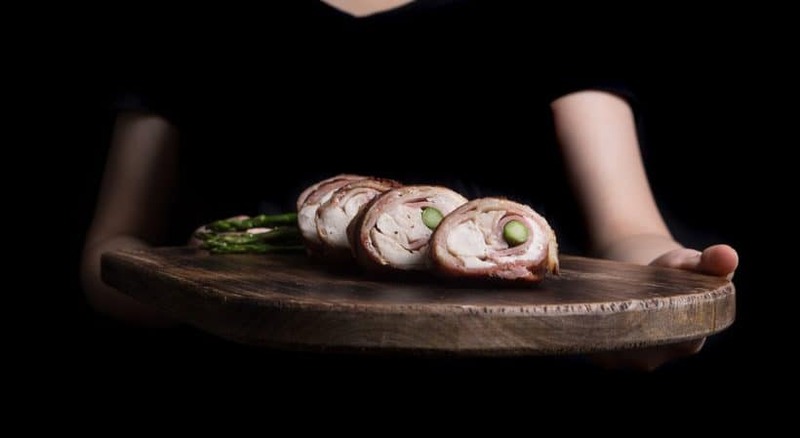 This recipe states a single breast, what if you have multiple pieces and what about say a thigh and breast bone in? Cool test though. Glad I found your site. It will work up to 4 pieces. If you are making 6 pieces or more, you will have to reduce the release time as the get up to pressure time will increase. Yes, you can marinate the chicken ahead of time (at least 20 minutes)! How would I cook it at 3500 – 4500 ft? Tonight, I did 4 frozen chicken breast halves, covered with water (about 3 cups), plus 1 tsp sea salt, with the rack. 12 minutes, hi pressure, then natural release 10 minutes. I let them cool a bit more before removing to shred. They were moist, not rubbery, and done. Just letting all know about my “frozen adventure”. Worked well to make shredded chicken. Can I cook frozen chicken breast in the instant pot? You will have to place the frozen chicken breast directly in the liquid. Are the ‘6min up to pressure time, 5min high pressure cooking, and 7-8min NR’ part of the automatic function when you press the “meat” button on the pressure cooker? Or do you manually program those 3 stages? If so, how do I do that on my instapot? The meat button will not automate the natural release and high pressure cooking time. You will have to adjust the cooking time to 5 minutes with the + or – button. As for natural release, you may have to turn the venting knob to the venting position to release the remaining pressure after 8 minutes. Thank you so much for your insights that help make using pressure cookers a delight. Used the 5 minute in water directions for a chicken salad and the chicken was so tender and juicy. This is my first time coming across this website, and I’ve never seen such precisely measured tests being conducted in regards to recipes. I absolutely love it, it’s exactly the kind of thing I’m into and so perfect for my personality type. I don’t even have a pressure cooker, but I’ll definitely be back here once I do! Thank you! Such a cool and unique take for a blog. I went and bought a 4 pack of chicken breasts and tried making congee.No wonder it turned out so dry.I wish I came upon your site a few weeks ago.Live and learn! For chicken congee, it is best to use dark meat with bones. Does the ratio of chicken breast to water. (1:1) stay the same? I read comments about doing more than one chicken breast (without stacking) but was wondering if this was assuming it’s still 1 cup or not? Thanks! It will still be one cup of water. I have an old Presto from the 70’s. I used the recipe for 1 breast, shredded it and had great taco salad. Tonight I’m trying 3 breast with the steaming rack I’ll be careful not to overlap the meat and allowing resting time for more relaxed meat. Thanks for that tip. I start timing the chicken once the petcock starts rocking back and forth for any one who lost their book like I seem to have done. Really great to find your recipe. So glad to have you stumbled upon our website! Thanks for this! Do the cook times differ if you want to cook a chicken breast that may weigh more or less than the specified weights used? thank you for your question. The cooking time will different if the chicken breast is thicker is size. I tried this recipe and it worked! I tried it again and stacked chicken on top of each other. The center was cooked but where ever the breasts were in contact with each other, it was still uncooked. Any tips for cooking more breasts at a time? When the meat are packed too tightly, it will stop the steam from flowing and cooking them fully. You can probably double stack with another trivet to make sure they are not packed too tightly. Just got my IP a week ago and made your recipe…perfect it was…I am 80 and this has opened up a whole new cooking life for me . Congrats on your new Instant Pot and thank you for your kind comment. let it NR and it will take about 7 min or NR for 7 minutes then QR? This is great! I cook up about 4 lbs of chicken breasts at a time and portion it out for my lunch salads (and freeze what I can’t eat over the next few days) and I clearly see I could be improving my methods for better chicken! Thank you. I’m glad I discovered your site. So happy to have you on our site!! Let us know if you come across any questions. Thank you for all the very interesting information. Now I think I am ready to try chicken breast and make a meal and not worry about being able to eat it. I am a 72 year old widow, and I know I am eating a better balanced diet since getting the IP. 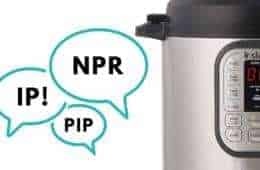 I am also starting a small group at church to share information and ideas, help each other find their way through the exciting world of electric pressure cooking. We’re glad to hear you’ve been eating better and even sharing what you’ve learnt with others. Our health is definitely one of the most important treasures we need to take good care of. The idea of a pressure cooking small group sounds exciting! Don’t hesitate to reach out to us if you have any questions at all. 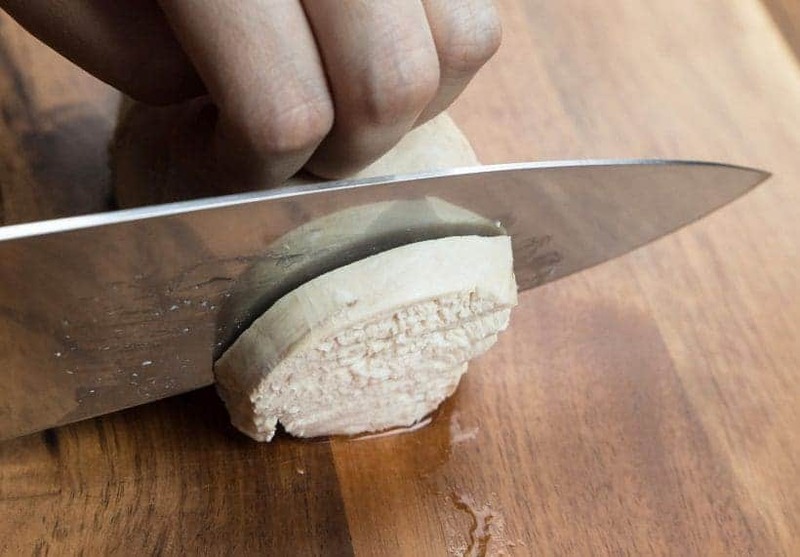 Would you cook frozen chicken breast the same amount of time – 5 minutes high pressure? I would try 6 minutes at High Pressure + 10 minutes Natural release. The best way to make sure frozen chicken breast to cook is to partially submerge them into liquid. Thanks for doing the research for your recipes. I made chicken breast tonight and my husband and I were pleased with the results. I just did one piece (about 9 oz) to split between us. It was frozen in the center. I seasoned it with my homemade rub and then seared both sides in some olive oil. Then I put the breast on the rack and poured in 1 cup of water that covered the bottom of the pan. I set it manually for 6 minutes (because of the frozen center). I let it natural release for 6 minutes but found the meat to be not quite hot enough in the center, so I put it back in the hot pan for another 3 minutes (still on keep warm setting). After that it was perfect. While letting it rest, I sprinkled some whole wheat flour into the broth and whisked it using the saute button until the gravy thickened. I served that over the sliced chicken breast. It was a great meal! So happy to hear the cooking process and the adjustment you made! Cynthia, that sounds fantastic!! I cooked my first chicken breast, bone in, skin on, frozen, last night. Placed it on the rack, used fresh lemon juice, fresh grated ginger, seal salt & pepper. Set it on poultry and I think it went 9 minutes. Did full NR and it was just right. I wish I had thought to thicken those lovely juices… Thanks for sharing! I just made a couple chicken breasts on a rack – they were still partially frozen so I cooked them on a rack for 6 minutes. Then after the npr, I placed the lid partially back on to let it rest for the five minutes (I’m still sort of new to the instant pot, and all I thought about was I wasn’t sure when we’d be eating, so I’d let it keep it warm!) – my chicken was moist, but also a little rubbery. Would letting it sit in the pot for 5-10 minutes after the npr make it rubbery? Keeping warm in a container will make the outer layer dryer. I just got my Instant Pot last month. When you mention using a rack, can you tell me if there are racks made specifically to fit the Instant Pot? I’m not seeing accessories like that online to purchase, so just curious. Thanks! 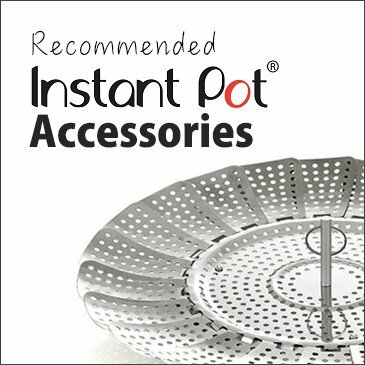 You can find some of the best accessories for Instant Pot on this page! I wanted to try frozen breasts tonight with a teriyaki sauce. Would I still have to use the rack? For frozen breasts, it is better to place them directly in the liquid as putting them on a rack may result in undercook meat. thank you for your response. I think the timing in this article will do it. Make sure to use a meat thermometer to confirm and close the lid to let them steam longer if they are undercooked. How long would I pressure chicken if I put 6 big chicken breast in? May I know how thick are the chicken breasts? You always inspire me, and this experiment was no exception. 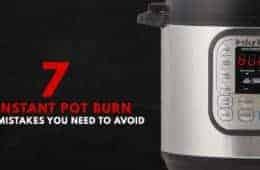 I had a friend who cooked her chicken in milk to get tender, moist results – so using your ideas here – I tried a pot in pot method. The chicken breast in a pot with enough milk to cover half-way, placed pot on trivet with 1 cup cup. HP for the 5 minutes you found to be best, and NR. Results were great. Thanks for taking all the guess work out of pressure cooker cooking for the rest of us. It’s always great to hear success stories like this!! Nice article! Thanks for the suggestions about what to do if it’s under cooked. One thing that isn’t clear to me is how many breasts can go in the pot simultaneously. You quote a specifications for a single breast, but surely it’s not just one at a time? You can cook as many chicken breasts as you can fit in a single layer or 2 layers with another rack on top. Don’t pack them too tightly! The going up to pressure time will increase with more chicken breasts so you may have to shorten the natural release time by a minute. What a great lesson! Thanks for all the detailed information. I’ll let you know how this works out for us. This was incredibly helpful, I was so sad when I did a whole chicken and it was so dry. Looking forward to trying this with legs as well. This is great information. I wonder if the times would be the same if the chicken breasts are frozen. We haven’t tested the timing for frozen chicken breast yet, but based on experience, it should be roughly one extra minute. I almost gave up and decided to go back to the oven, but then I got your email today. Just tried Test no. 2 and it came out perfectly! This page is definitely a keeper. Many thanks. Hi Campbell, may I know the model of your PC? Thanks for conducting this important experiment. I have always avoided cooking chicken breast for the very reason you described: it’s easy to overcook. This article gives me confidence to try in my own kitchen. How did you serve all the plain chicken breasts you made using this method? Are there recipes forthcoming using these chicken breasts? Keep up the good work as usual!